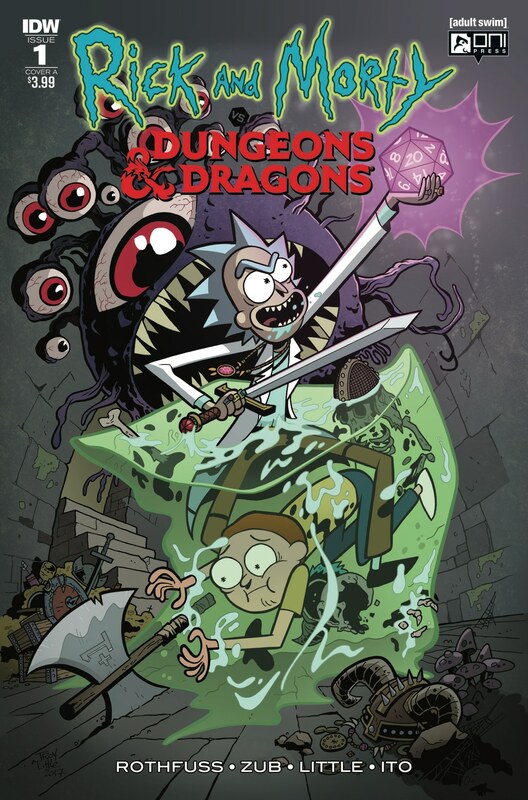 In late August, an unlikely (by Jim Zub’s own admission) crossover hit the shelves of your FLGS: Rick and Morty vs. Dungeons and Dragons from IDW Publishing. Written by Patrick Rothfuss and Jim Zub and featuring the artistic talents of Troy Little, Leonardo Ito, and Robbie Robbins, the four-part miniseries was highly anticipated by fans of both of its constituent franchises. Having read the first issue now, there is lots to like! But I’m not here to write a review today. Instead I want to talk about the first half of the comic – right up to the point that you can see the staples in the crease of the pages – because the story it tells of the modern day standing of Dungeons and Dragons is perfect. The book’s first several pages follow Morty as he suddenly sees or hears of Dungeons and Dragons everywhere. He then sits down at a computer in the library and does a Google search for “dungeons and dragons” and finds 985,000 results which quickly point him towards Critical Role and Acquisitions Incorporated. There is even a friendly jest in the comic from Rothfuss (a regular on Acquisitions Incorporated) to Critical Role in that the Critical Role Youtube video shown has 1,798,889 views while the Acquisitions Inc. video has been viewed 2,589,343,093 times, ha! Then Morty overhears that someone is playing Dungeons and Dragons to get laid. This is when Morty books it to his FLGS to buy the books! This is a pretty great depiction of the growing ubiquity of Dungeons and Dragons. We’ve written before here at NoE on the swelling popularity of DnD, so I’m not going to get into that a ton here. Suffice to say that the odds you’ve had an experience similar to Morty’s is higher than ever, and the likelihood that you know someone who absolutely loves Dungeons and Dragons (or Pathfinder, et al) is extremely high! It is not a “lonely fun,” basement endeavor; it is a legitimate cultural phenomena. Morty ends up accepting an invitation from a pretty employee at the FLGS to fill in for a regular in a campaign held after hours; all under the assumption that he’s already familiar with the system. He’s in trouble now! So he buys a handful of the books and rushes home to cram. It proves too much too fast, so he books it over to his grandpa Rick’s house for help. He wants Rick to concoct some way for him to learn DnD in seconds so he’s ready for the game in a couple of days. Little does he know that Rick is an old school Dungeons and Dragons veteran! 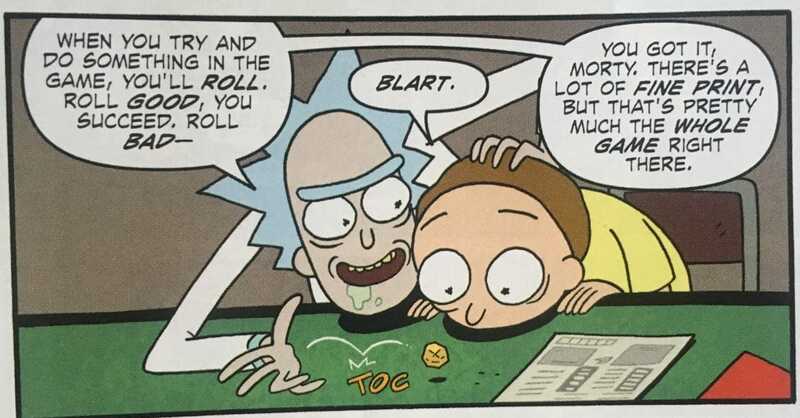 So Rick is there to help Morty roll up his first character and sit in on his first ever session – complete with multiple character deaths and fresh character sheets! Be the Rick to someone’s Morty! 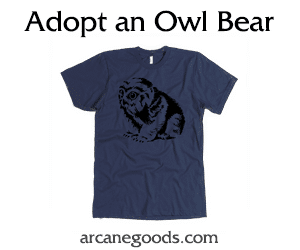 Maybe not too literally, of course, but be a coach and a connector when it comes to your TTRPG system of choice. Simplify what you can and facilitate experiences. The game systems themselves will take it from there! 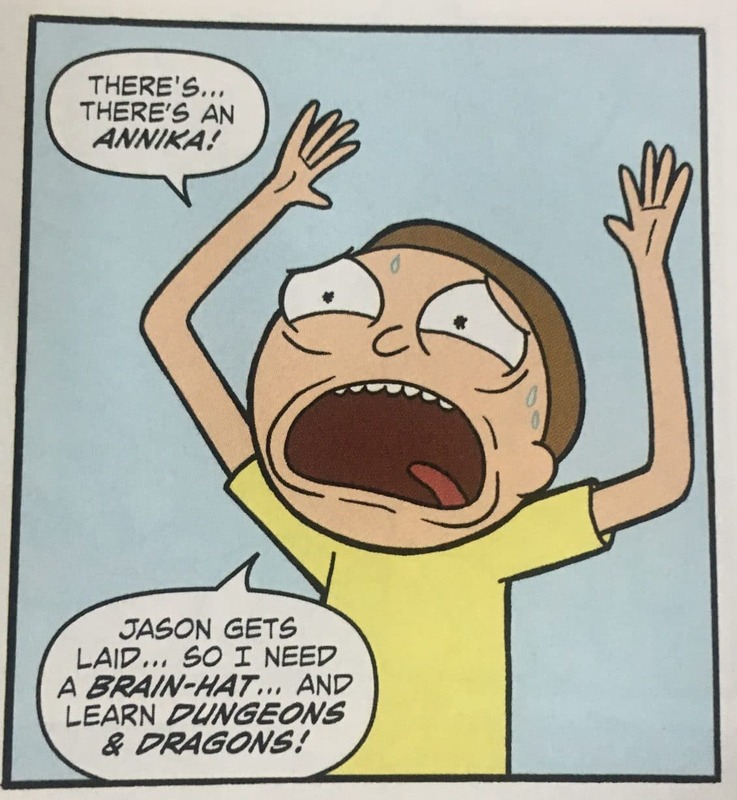 The comic is overflowing with Dungeons and Dragons humor delivered in the signature Rick and Morty house style, the pair’s adventures take them into virtual reality towards the end (the ultimate form of LARPing…? ), and the narrative will undoubtedly be worthy of attention as it unfolds, but the plot isn’t my focus today. Just the fictional but analogous depiction of Dungeons and Dragons in modern culture and the mentor/facilitator role undertaken by Rick. …the likelihood that you know someone who absolutely loves Dungeons and Dragons (or Pathfinder, et al) is extremely high! Back then, I was talking to the uninitiated; to those currently outside of the hobby…but looking in. Now I’m talking to you, the veteran, the OG, the DM: The likelihood that you know someone who is interested in seeing what all the hubbub is about concerning Dungeons and Dragons is extremely high! Roll a high Perception check, spot them, and do your best to introduce them to the world’s greatest role-playing game (whichever system that might be for you or them!). You can also snag copies of IDW’s Rick and Morty vs Dungeons and Dragons from your FLGS, or you can preorder the collected edition from Amazon here!